In order to evaluate the general mental status of the child, create an instruction plan, properly place him/her in the right programs, and to register the child at Roshd Development Rehabilitation Center, an IQ test is administered. This is generally repeated on a yearly basis. After administering the test, based on the mental abilities of the child, a special instructional program is produced and the proper classes in tune with his/her skills and capabilities are selected. 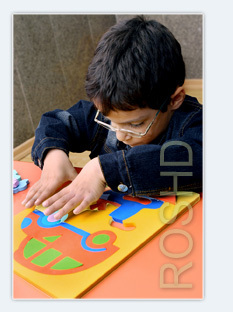 This allows the child to take the most advantage of what the center has to offer.